Step by step instructions with colour photos in two 60+ page booklets. Thank you for all the block designs. They are so beautiful. 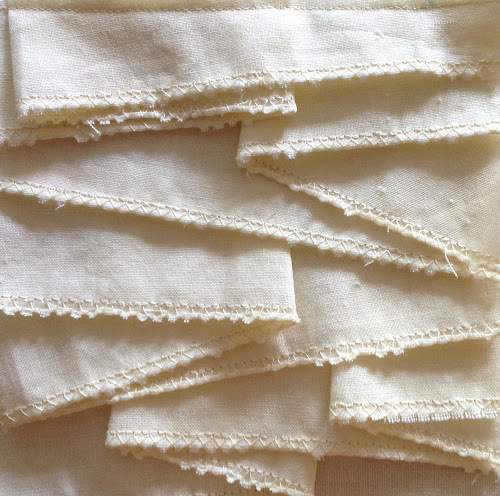 I especially love the smocking and different pintuck blocks. I fully intend to try each and every one of them. Keep up your good work. Thank you for your lovely comments. Please upload photos to my Flickr group https://www.flickr.com/groups/2086081@N20/ if you make any of the fabric manipulations. I’d love to see them. 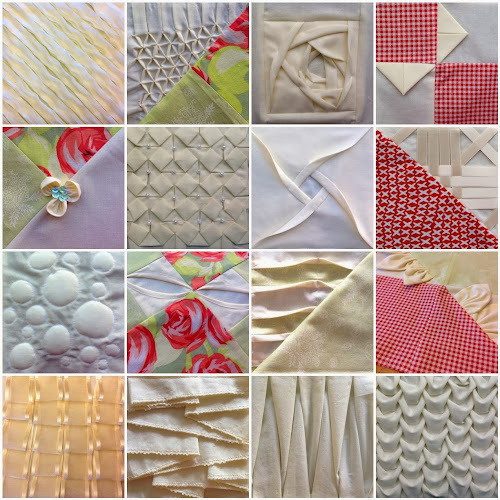 So much inspiration for quilts and clothing. Can’t wait to try some of these! Thankyou these are wonderful, it would be wonderful if you could do youtube tutorials on these to help us do them. Thank you so much.These are very interesting and helpful techniques.Thanks again. An excellent website. Thanks Teresa. Our group is doing bunting to show a variety of techniques. No excuse now with 41 tutorials on hand. Thank you! I guess you’re spoilt for choice! Thanks for sharing all these techniques. You did a great job. Thank you for sharing your ideas and for providing details to allow us to recreate the blocks. I had the idea last year of making a textured lap quilt for my visually impaired Aunt, I’ve finally managed to get onto it (school holidays = time to sew). I am stoked with how it has come together (11 blocks + beaded label). I am just about to quilt it. Can’t wait to surprise her with it! Thanks again! Interesting, would like to add some to skirts. Pingback: Blind challenge | Quirks Ltd. I am sooooo bookmarking your blog. I’ve found very useful ideas and I’m glad I looked through. You are wonderfully talented. Thanks for sharing. Teresa, I can’t begin to thank you sooooooo much for being so generous with sharing your talent with us. I’m just beginning journey and am narrowing my ‘style’ down. You may have noticed that I like bold from the boards that I have collected. I also appreciate work and creativity. 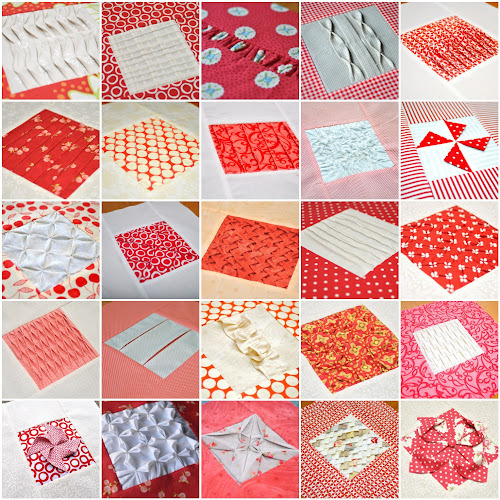 I was particularly taken with the origami fabric tutorials that you have listed. 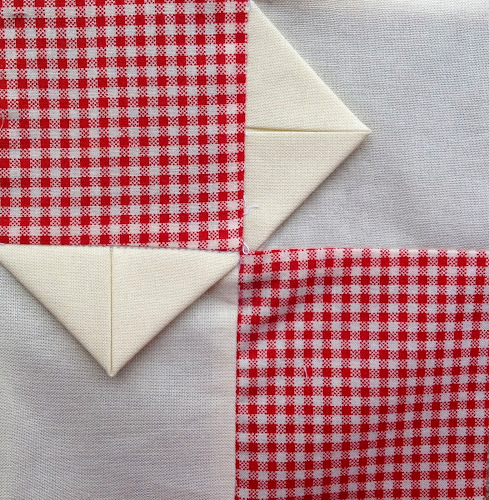 I can see this in satin ( pink and white) interspersed with something else done in satin, perhaps a solid wedding ring template as the frame for the individual origami panels and either a circled 16 patch in pink and white or star patches (in pink and white) in the alternating circles. BUT that is all down the line for me, I have to learn my craft long before that one gets tackled. Thank you again and I’ll be sure to keep you posted. Thank you Karon for your feedback and for sharing your ideas too. Satin is for sure a better fabric to use for fabric manipulation. It flows well and the sheen of the fabric improves the appearance of the manipulation. Other sheer fabrics would also work better than quilting cottons. I’ll be looking forward to seeing what you make. menipulation. They will definitely add to my quilting library.Do you sell the book? Sorry I don’t sell a book on this Evelyn. 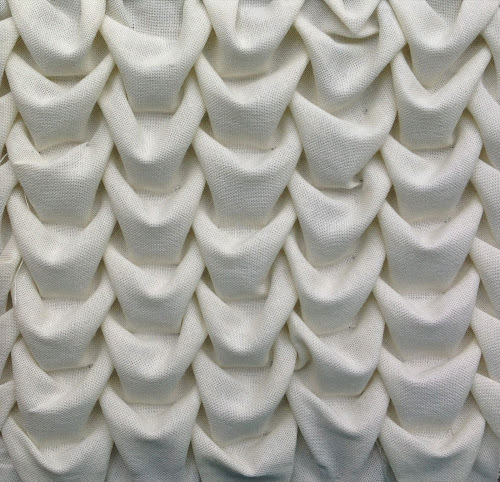 Wonderful fabric manipulations!! Thanks. Your talents and imagination are unlimited. I am truly grateful for all you do.